We need a healthy body, mind, and soul for good health. Hence, it is required to develop and adopt a disciplined lifestyle. You can achieve this by doing exercises, taking care of skin and hair and proper diet. Eye care is the most important habit that can be easily achieved by removing contact lenses before sleeping, not watching TV screen closely, wearing glasses when using the computer, taking proper diet by including Vitamin A rich foods. Vitamin A should be included in your daily diet to stay fit and healthy. This promotes healthy functioning, development of the eyes, teeth, skin, soft tissues, mucus membranes, skeleton, and immune system. Vitamin A is essential for proper growth, to fight against many diseases and maintain the reproductive system. 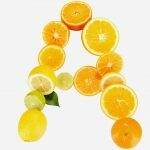 Vitamin A can be found in various fruits, vegetables, meat, fish, and dairy products. Vitamin A is a fat-soluble vitamin that comes from the unsaturated hydrocarbons such as retinal, retinol, and beta-carotene. Carotenoids have alpha, beta and gamma carotene that further convert into Vitamin A. Carotenoids are dark-colored pigments that are found in plant foods and get converted into Vitamin A as beta-carotene. Beta-carotene is an antioxidant, which is useful to protect your cells from damage due to free radicals. Free radicals cause numerous chronic diseases and are one of the most important reasons for aging. Beta-carotene supplements are also helpful to reduce the risk of cancer. There are two types of Vitamin A that are obtained from the diet. Preformed Vitamin A can be obtained from animal products like cheese, fish, poultry meat, and dairy foods. While, pro-vitamin A is obtained from plant-based foods like fruits or vegetables. Beta-carotene is the most common type of pro-vitamin A that can also be obtained from dietary supplements. It is advised to maintain the required level of Vitamin A to cure numerous health conditions. Most animals’ livers are filled with vitamins and minerals. They can be prepared by steaming or frying with onions and different nutritious herbs. Which is what makes this source a rather delicious food rich in vitamin A. Make them your delicious turkey dinner. You can also add turkey liver to the gravy or stuff them to gain many vitamins and minerals. 100-gram turkey liver will provide you 1507% of the Vitamin A needed every day. 100 grams Turkey Liver contain 273 calories. When we speak of foods rich in vitamin A, how can we leave behind the beef liver? The liver is the richest source of Vitamin A and Vitamin C. They have been used for many centuries to cure anemia. A 100-gram beef liver will provide you 300% of your needed Vitamin A for a day. 100 grams of Beef Liver contains 135 calories. The butternut squash is yellow-orange in color and is a rich source of beta- carotene. This gets converted into Vitamin A in your body. This dark orange squash tastes delicious and has nutty and sweet flavor. One cup butternut squash will give you 400% of the daily needed Vitamin A. It also contains Vitamin C, potassium, and fiber that is good for health. Mustard greens are widely consumed in Northern India. We know these spicy and crunchy flavored green leaves by the name of ‘sarsoo ka saag’. In some parts, this is also referred as leaf mustard. It contains the maximum nutrition compared to any other green leafy vegetables. You can consume them raw or cooked, as it has excellent flavor and nutrition. This gives 118% of the daily needed Vitamin A. They are also the richest source of manganese, calcium, carotenes, folate, fiber, protein, Vitamin C, Vitamin E, vitamin K, and many antioxidants. Whole milk is even tastier than skimmed milk, as it is rich and creamy. Whole milk has more nutritional value than skimmed milk. One cup of whole milk contains a good amount of calcium, protein, Vitamins D, A, and magnesium. It also contains fat that can be consumed in moderate quantity. Vitamin A is filled with antioxidants which are essential for vision. This is useful for proper maintenance of healthy mucus membranes and skin. Dried basil is rich in Vitamin A, which will prevent your body against lung and oral cavity cancers. This dried basil has a very versatile taste and flavor that can be added to most of the dishes you prepare. Add them to any foods to get Vitamin A and for taste enhancement. 100-gram dried basil will give you 15% of the daily needed amount of Vitamin A. Dark green leafy vegetables are the healthiest foods. Light green Iceberg lettuce is also the richest source of Vitamin A. They can be added to your salads and sandwiches to get your everyday requirement of Vitamin A. One cup Iceberg lettuce will give you10 calories, and various other essential vitamins and minerals required. Add these sweet green peas to your side dish of any dish as a healthy dietary supplement. One ½ cup pea can give 134% of the required value of Vitamin A, and 62 calories. They also contain a good amount of Vitamins K, C, and B. Some botanical studies have proven that tomatoes are fruits. Add them to your daily diet, as they contain low calories and many essential vitamins and minerals. One tomato can give 20% of the Vitamin A needed for a day. They are also a rich source of vitamin C and lycopene. Add spinach to your daily diet for a healthy life. One-cup spinach can provide 49% of the daily needed value of Vitamin A. Spinach is also the richest source of Vitamin C, manganese, iron, Vitamin K, and calcium. Kale is used popularly for common garnish. They taste delicious and have many nutrients. Add them to your daily diet for good health and Vitamin A. One cup kale can give you 200% of the needed vitamin A. Carrots often come to the mind when you think of Vitamin A and eye health. They are thought to be the best remedy to improve eye vision with many other health benefits. One carrot will give you 200% of daily advised vitamin A. Carrots also contain vitamins B, C, K, magnesium, and fiber in large quantity. Sweet potatoes are delicious in taste and have high nutritive value. One sweet potato will give 438% of the daily needed Vitamin A and 103 calories. Mangoes are the most loved fruits in any part of the world. They have sweet, juicy, tangy taste. This can be added to the main dish or in desserts. It is filled with nutrients and vitamins that promote a healthy diet. One cup mango can give 36% of the daily needed amount of Vitamin A and 107 calories. Peach has a very delicious flavor and has excellent nutritional value. Peaches contain a good amount of magnesium, Vitamin C, calcium, phosphorus, potassium, and iron. One peach can provide 10% of the daily needed Vitamin A and 59 calories. Papaya is a tropical fruit that is filled with minerals, enzymes, vitamins, and antioxidants. One papaya can give 29% of the daily needed vitamin A. The papaya can be consumed in many ways such as raw, added to salads or in smoothies. Bell peppers make a delicious vegetable that is consumed raw or cooked. Raw bell peppers are crispy in texture and can be used in salads and dips. Cooked bell peppers have smoky, sweet taste that is used to enhance the taste of other dishes. Red Bell peppers have a mildly sweet taste that is used to prepare pimentos and paprika. Red peppers can also be added to veggie dip, scrambled eggs, and pasta dishes. This contains many health benefits, as they are a rich source of antioxidants such as Vitamin A, lycopene, Vitamin C.
Cod liver oil supplements are the richest source of vitamins and minerals. Cod liver oil is available in liquid and capsule form, which has the extraordinary amount of Vitamin A, D, and omega 3 fatty acids. One tablespoon of cod liver oil can give you required Vitamin A value for the day and 126 calories. Grapefruit juice has good nutrients like potassium, Vitamin E, Vitamin K, phosphorus, calcium, B vitamins, vitamin C, vitamin A, and phytonutrients. These essential nutrients support the immune system of your body to fight against illnesses and healthy and strong life. Oatmeal is consumed as a staple breakfast in countries. It is filled with nutrients and is the richest source of dietary fiber. They contain a fair amount of phosphorus, potassium, minerals, and iron. Oatmeal can give you 29% of the daily needed vitamin A and 159 calories. Paprika is the most popular spice used in South American, Sri Lankan, Indian, and Spanish cuisine. They have a fiery, pungent taste that can be added to your any favorite dish for health benefits and as a taste enhancer. One tablespoon will give 69% of the daily needed Vitamin A. this also has potassium, calcium, and Vitamin C.
They contain juicy flesh with a sweet smell and are bright yellow-orange in color. They can cure and prevent your body from various diseases. Cantaloupes are low in calories and fat. They have numerous essential vitamins and nutrients that promote good health. They have yummy flavor and can be used in fruit salad, snack, or dessert. One wedge of Cantaloupe will give you120% of the needed Vitamin A for the day and 23 calories. Add leafy greens to your everyday diet for good health. Turnip Greens are very low in calories, high in nutrients, and are easy to cook. Turnip Greens require cooking or steaming for consumption. This gives a boost to their nutritive value to get absorbed in your body. Dried apricots are a delicious snack, and they contain many nutrients, antioxidants, and energy. Dried apricots are also the richest source of Vitamin A. One cup of dried apricot can give you 94% of the needed Vitamin A and 313 calories. Dried Marjoram is added for their unique flavors and many health benefits. Dried marjoram is the rich source of vitamin A. 100-gram can give you 161% of the needed Vitamin A for the day. You can also add them to many dishes to get 271 calories. Most of us suffer from this common skin trouble – Acne. Include fresh carrots, apricots, and apples in your diet to get rid of acne. Vitamin A helps in reducing acne issues, especially amongst people suffering from moderate to severe acne problems, as it cuts down excess sebum production in the skin. The use of Vitamin A for acne is quite effective. Vitamin A contains huge quantities of beta-carotene and retinol, a powerful antioxidant, which is known to fight the free radicals in your skin. Thus regular intake of vitamin A reduces the appearance of fine lines, dark spots and pigmentation. Studies have shown that vitamin A helps in healing severe acne, warts, sun damage and rosacea. You can either take it orally or in the form of topical preparation to reap maximum benefits. 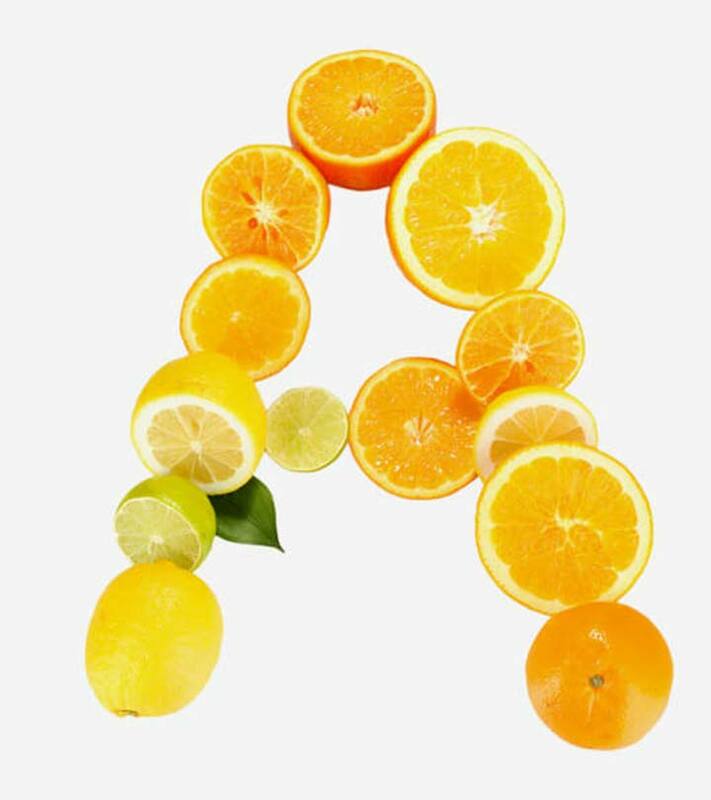 Vitamin A help in the regeneration of the new skin cells by replacing the dead cells. The new cells lead to the formation of healthy and smooth skin, which would eventually reduce stretch marks. Mix papaya pulp with lemon juice and a teaspoon of honey. Apply this on your face and let it remain for 15 minutes before rinsing off. This is an instant skin brightening pack. You can also mix papaya pulp with boiled green tea to make a smooth paste. Apply this and keep for 15 minutes before rinsing off. This is an anti ageing face pack and should be applied twice a week for best results. Make a paste of boiled carrots and potato. To this, add a pinch of turmeric powder and honey. Mix well to form a smooth paste and apply on your face. Keep it on for 10 minutes and rinse off with cool water. You can also prepare a mixed vegetable face pack by making a paste of different boiled vegetables like carrots, potato, cabbage etc. Mix well to form a smooth paste. Apply and keep for 20 minutes. Wash off with cool water. Grate sweet potato and extract its juice. Apply this juice all over your face and keep for some time until it dries. Wash off with warm water. The juice of the sweet potato helps reduce wrinkles and brightens the skin. If you are suffering from acne, try this face pack. Boil and puree the pumpkin to prepare the pulp. Take a teaspoon of this puree and into it add 1 egg white. Mix well to form a smooth paste. Apply and keep for 20 minutes. When the pack dries off completely, rinse with warm water. Use this face pack at least twice a week for effective results. In the pulp of 1 ripe mango, add 2 teaspoons of gram flour (besan). Then add 1 teaspoon of honey and mix well to form a smooth paste. Apply all over the face and keep for 15 minutes before rinsing off with cool water. This face pack is a very hydrating one during summers and also helps to remove unwanted tanning. Vitamin A helps to produce the right amount of sebum in the scalp, which prevents the scalp and the hair from drying. The antioxidants in vitamin A regulate the oil secretion and thus lead to a healthy scalp. Due to its high concentration of antioxidants, vitamin A prevents the formation of free radicals, thus protecting the hair from radical damage. It helps in restoring the natural shine to the hair. Vitamin A repairs dry and damaged hair due to its reconstructive and regenerative properties.It makes the hair soft and smooth. Our conditioners contain vitamin A and E derivatives in them. Vitamin A helps to regulate the sebum production in the scalp. It, thereby, reduces the formation of the dandruff flakes. Regular intake of green leafy vegetables, liver, cheese can reduce dry dandruff. It helps in the growth of white blood cells or lymphocytes which help fight infections in our body. Vitamin A is important for healthy eyesight. Our body converts it into retinaldehyde, which is vital for eyes. Night blindness, caused by the deficiency of vitamin A can be cured if we take vitamin A supplements. It helps fight off ocular diseases like cataract, glaucoma and other age-related eye diseases. For healthy bones, include vitamin A in your daily diet as our body converts it into retinoic acid that is absorbed by our bones. Our teeth are composed of a hard substance called the dentin which requires vitamin A for its natural strength and hardness. Vitamin A helps in the growth of new cells and tissues by replacing the old ones. Some suffer from the problem of kidney or gallbladder stones. These small stones are composed of calculi which cause pain, nausea, and vomiting. Vitamin A produces calcium phosphate which helps in the prevention of these stones. It keeps our immune system strong and healthy. Vitamin A keeps skin and mucous membrane cells healthy. It is important for the development and maintenance of the epithelial cells in the inner linings of the organs. It has been studied that vitamin A acts as an inhibitor for the production of tumor cells in the body. The most important benefit of vitamin A is that it helps to keep cancer at bay. Regular intake of vitamin A in your diet inhibits the production of DNA in the cancerous cells. It plays an important role in proper functioning of the kidney, liver, and the endocrine system. Vitamin A has been proved to show great improvement in the healing of wounds, scars, burns, etc. as it helps in the regeneration of new and healthy cells. Most of the ointments are rich in vitamin A. It helps in the storage and conversion of fats and synthesis of protein and glycogen in our body. Avoid consuming them in large or low quantity. This can have adverse health effects. Vitamin A supplements should be consumed only after taking proper consultation from your doctor. Most foods in our daily diet contain some amount of Vitamin A. Many multivitamins supplements can also fulfill the requirement of Vitamin A value. This is our comprehensive list of Vitamin A rich foods. Hope it helps you come up with a healthy yet delicious diet! Do leave us a comment. Diet According To The Age: Here Is What You Need To Eat In Your 20’s 40’s, 50’s, 60’s!